Earlier this week, a package arrived from across the pond and a pair of boots (from a brand that I had never heard of before) entered into my life. Sent directly from our friends in England at SportsDirect.com, we were excited to find the Sondico Precision boots tucked away inside the box. However, despite not knowing what to expect from the boots, the Sondico Precision has blown us away and impressed from the first second it arrived. Where most small brands struggle is where they attempt to create high-quality synthetics. Although the brands can surprise a bit (as we will see in the upcoming Pan Super Sonic II review), the best synthetics are typically left to big brands that can spend significant amounts of money developing and creating fantastic materials to slap on some boots. Smaller brands, even when trying to copy materials from the “big boys,” just do not have the same capabilities. With Sondico, the brand has stayed with high quality leathers for most of the boot. The Precision is made from a high-quality Napa leather and the quality is obvious from the second you slip the boot on. The back half of the boot is also made from a very padded synthetic that does not take away from the leather and helps make a great overall package. Considering that this is also the mid-tier Sondico release, it bodes very well for the brand in general. Avoiding a painful break-in, cheap materials, and a sub-par soleplate are all issues that most smaller brands need to keep in the front of their mind when releasing a product. With the Precision, Sondico have certainly addressed all these problems and more by making sure that the Precision will not be suffering a fate that most other small brand/mid-tier releases might suffer. The soleplate looks like strong mix of other common set-ups that we have previously seen, and it has been dependable during the first few run-outs. As with the upper, Sondico have put out a quality soleplate on the bottom of this boot that shows that Sondico are sticking to top-tier basics and creating great products. If Sondico was available in the states, it would definitely steal a few customers away from the big brands. 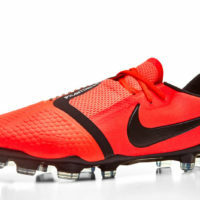 Keep an eye out for the full review in the next few weeks as we continue putting these boots through their paces. Until then, see what Sondico has to offer here. Well I have to say that I cam across these a few months ago and I almost pulled the trigger on the higher end Touch. It is very appealing and even looks light weight although I am not sure how much they actually weigh. Also as a recommendation for a review, I recently purchased a pair of Pirma Velocity Flight. I wanted to try Nike Skin but was tempted to buy the Hyper-venom’s at their price point. I came across the Velocity Flight took a chance and ordered them. I have many pairs of Pirma and they are all well built good shoes, but I was very skeptical about these because they were mimicking the feel of Nike Skin. When I got them in the mail I was flabbergasted to find that the upper was almost identical to Nike-skin in terms of feel and construction. I seriously recommend you try them, I think you will be surprised.